Two products many games are looking forward to are the PlayStation 5 and Grand Theft Auto 6, and as a result, rumors about both abound. Thus, it should come as no surprise that yet another rumor links the PS5 and GTA 6 together. The release dates of both are hotly contested, and now someone claims both will be released in 2020. In fact, Sony is supposedly shelling out big bucks to get a one-month exclusive window for GTA 6 on the PS5 (although we are very skeptical of this). Before continuing, we must point out that this rumor is suspicious because the source is unknown. It should be taken with a massive dose of salt, but if it is true, then many gamers will undoubtedly be excited. A Pastebin file spotted by GamesRadar+ claims the PS5 and GTA 6 release dates will be in 2020. Pastebin is a virtual receptacle for anything anyone wants to post, so there is no way to known who has posted these details. The person claims to be a European developer working on a launch title for the PS5, and the post was created in December. However, it has been popping up again via the rumor mill. Supposedly, Sony will make some kind of “small reveal” of the PS5 at some point between April and June. However, we already know the Japanese console maker is planning to skip E3 this year, so the announcement won’t come at that event. Supposedly, the console will go on sale in March or November 2020 with a price tag of $499. As a side note, it seems like most previous PlayStation consoles have gone on sale in November or going into the holiday season, at least in the West, so we think if there is any truth at all to this tidbit, it could point to a November 2020 release date. Past PlayStation models have launched in March in Japan and Europe, so there is a chance that different parts of the world will see the console at different times. The game developer claims the PS5 will be backward-compatible with older games, which we would expect anyway. He also asserts that the console will sport a 7-nanometer Ryzen octa-core processor with other specs aimed at positioning it for 4K gaming and support for 8K upscaling. The console will also supposedly be prepared for a new wireless PS VR model, which he claims will also land in 2020. 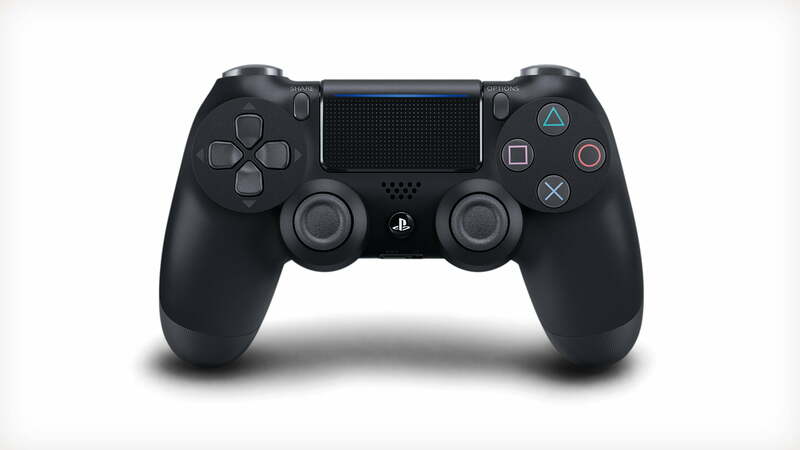 The Pastebin user also claims Sony will update the DualShock controller by adding a camera for virtual reality and some type of input which is similar to the trackpad on the Steam Controller. He also offered a list of supposed launch titles for the PS5, and GTA 6 is on that list. Four of the six games he gave were remastered titles of previously-released titles: Gran Turismo 7 with support for VR, a 4K remaster of PlayerUnknown’s Battlegrounds, The Last of Us Part 2, and Ghost of Tsushima. GamesRadar+ hit the proverbial pause button when it came to the non-remastered games suggested in the Pastebin file. For one thing, they were very skeptical that four of the given titles would be remastered versions of older games. They also called into question the claims about non-exclusive games landing on the PS5 in 2020: Battlefield: Bad Company 3, Harry Potter, GTA 6 and Assassin’s Creed. We would also add that there was no mention of Lord of the Rings: Gollum, which might be a confirmed title for both the PS5 and Xbox Two. Specifically, the tech blog expressed skepticism that GTA 6 would be coming out in 2020 even though Red Dead Redemption 2 just landed on the market toward the end of last year. Although the two franchises apparently come from two different Rockstar studios, Red Dead Redemption 2 was such a massive undertaking touched by all the developer’s studios that it seems questionable that GTA 6 could have been in development at the same time. We do know that Rockstar has been in hiring mode due to the large number of job postings which have been reported recently. The jobs are listed as being for “upcoming projects,” and they are at multiple studios. If GTA 6 is in development or about to enter development, then the company would certainly need a much larger team to make a late-2020 release date for the game. However, given how long it takes to churn out massive titles, it does seem questionable that Rockstar would be able to make that deadline. GTA 6 as a temporary PS5 exclusive? The Pastebin file also claims Sony is “paying huge money” for a one-month exclusive window for the PS5. This isn’t the first time we’re hearing a claim that GTA 6 might be a PS5 exclusive. However, since multiple tech blogs pointed out how unlikely that is—and Sony shot down rumors of a Rockstar acquisition—this is the first we are hearing about a temporary window of exclusivity for the game. We’re not sure it would really be worth “big bucks” for a single month of exclusivity, but this is just another reason the rumors included in the Pastebin file are suspect.